A community of speakers working to create a world free of homo-bi-trans-phobia and other forms of prejudice by telling the truths of our lives. 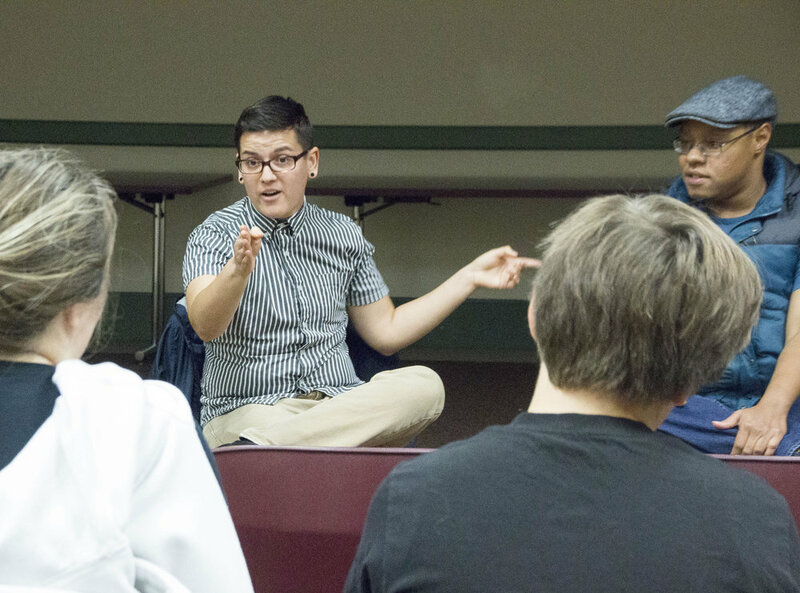 Since 1972, SpeakOUT Boston has conducted peer-led training programs to prepare LGBTQIA* community members to effectively tell their personal stories to create positive social change. Our clients are seeking ways to create safer and more rewarding spaces for LGBTQIA people through education and dialogue. If you are interested in finding out more about our services, please contact us. Find out about SpeakOUT's mission, our 45-year history, and the focus of our work in the community. Ready to take the next step? Find out how to join a team of volunteers and become a speaker for SpeakOUT. We thank The Lenny Zakim Fund for their generous support of SpeakOUT.